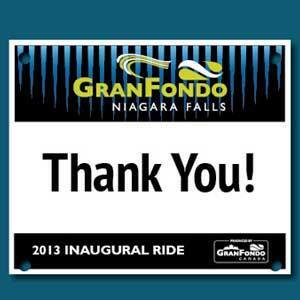 This weekend marked the inaugural ride of GranFondo Niagara Falls. 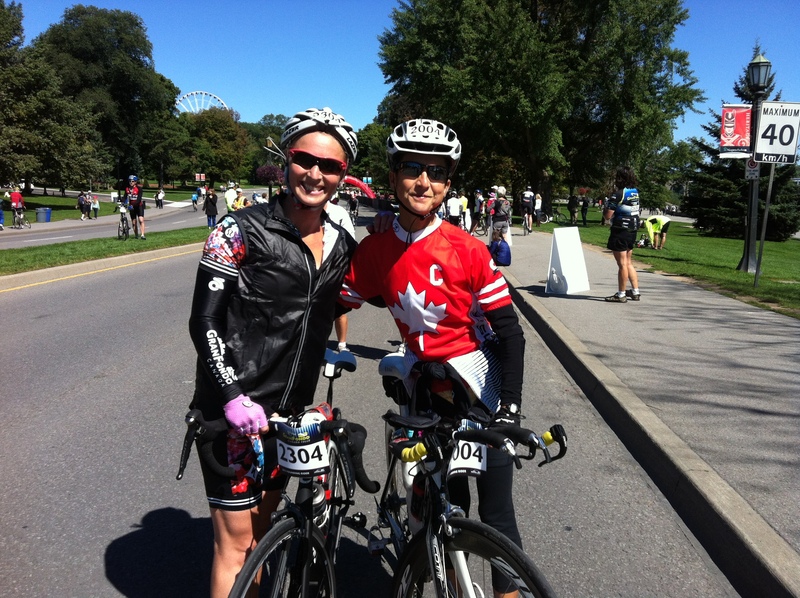 It was a gorgeous 125km mass cycling experience through the breathtaking Niagara Region. From the moment I heard about the event I knew it would be spectacular by its location, and it exceeded every expectation I had. 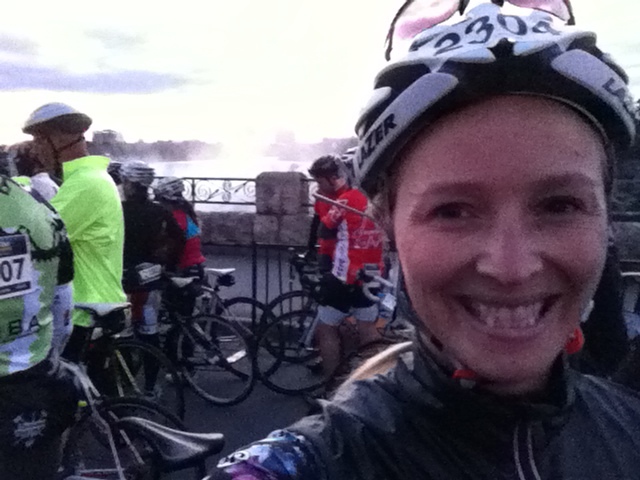 This was the first out and back of the ride and we rode along the Niagara River to get there. On route we passed Fort George and there were many locals out along the streets cheering us on. Weird fact, the War of 1812 is my favourite war, so I loved riding through this area because of the history (I told you it was weird). We rode by the Brock Monument, Fort George, and even Laura Secords house. There were people in costume greeting us at the first Rest Stop which only added to the fun of the race and location. This was a moment that I literally waited 20km for as I thought it was at the 60km mark, but was actually at 80km. I had heard horror stories of this hill while training, how friends of friends (who were good riders) had to get off and walk up. So I was eagerly waiting to see what Effingham had in store for me. The bottom of the hill was very sunny and as I began the climb, I wisely did a quick unzip on the jersey which I was thankful for because this became a hot one! I started the climb in a group with two other females, as we pushed to the steepest part one of the gals began to struggle, being the ever cheerleader I called out “we got this sisters!” and the one who was riding strong gave a “wooo, you know it” and the one who wasn’t veered and nearly smashed into me. She apologized and said “I can’t do this” to which I responded “yes, you can, let’s go” and together we all kept climbing. When we got to the top we all smiled and congratulated each other and it was a very cool moment of support and comradery. We all rode near each other for the remainder of the race, so it was nice to smile and wave and encourage each other to push through as we moved along to the finish. (Side Note: Effingham was tough (mainly because of the 80km before it), but personally I don’t think it has anything on the Beast of the East). This moment was just pure fun. Riding downhill into a wonderfully paved deep dark tunnel. Shouting out the ultimate “hoser” call “Coo loo coo coo, coo coo coo coo”and then hearing others do the same. An awesome moment. This was what had me hooked from the moment I learned of the race location. Riding through the vineyards, HUGE bunches of grapes on the vine, large stocks of corn as far as the eye can see, and farms with horses standing at the fences watching us ride by – every view on this ride was absolutely spectacular. Yup, it was as awesome as it sounds. 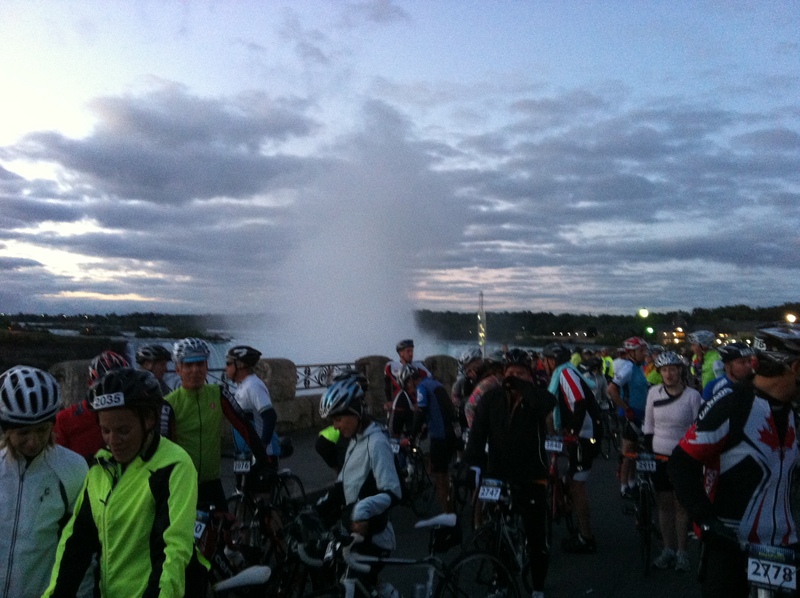 Waiting at the start line for the race to begin and looking around to see the breathtaking views of the Falls. The enormous amounts of water rushing the edge and singing O Canada at this amazing site was all a moment to remember. .
-Completing the event with my coach, but more importantly friend, Kim. She kept me moving and full of confidence in myself the entire time. And we had lots of laughs too! I knew I could do it because I had her there cheering and coaching me on. 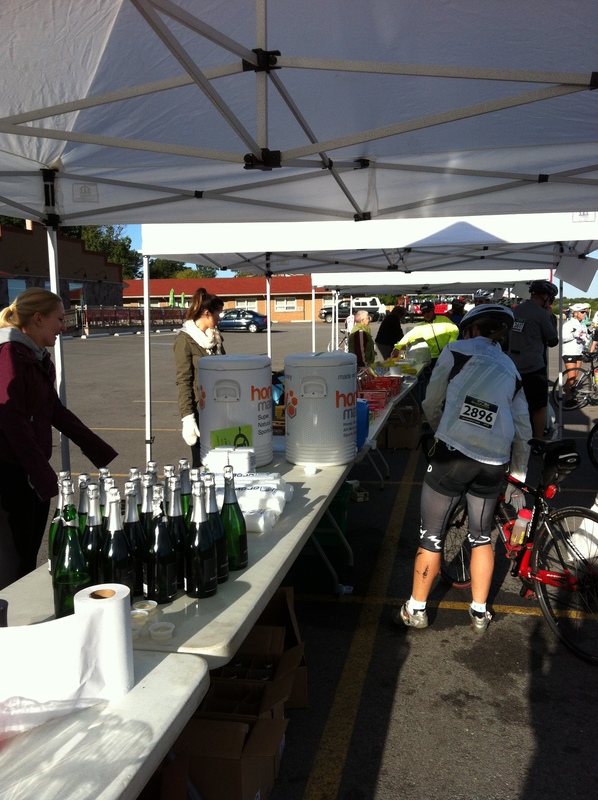 – The rest stops were huge spaces with fresh water, first aid, toilets, mechanical assistance teams, and most importantly FUEL! And a ton of it! I was shocked when I got to the first stop to see how much fuel was there, bars, gels, chews, M&M’s, nutritional drinks, coke, and Champagne! and like I said, a ton of it! -Feeling totally rocking in my outfit. 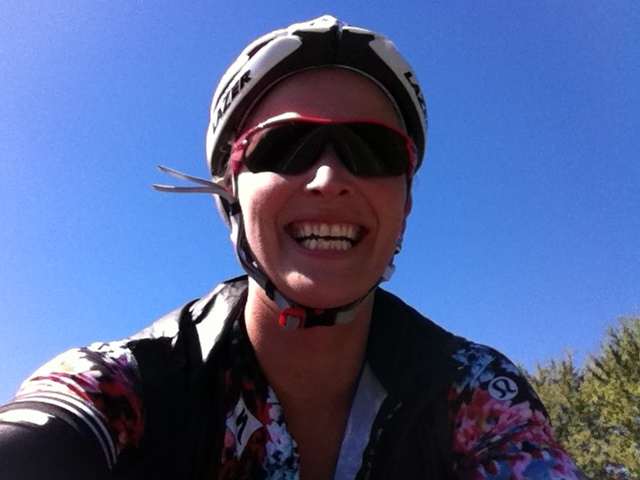 This is my absolute favourite cycling kit and I was so happy to have found sleeves and a vest to wear as the temperature was chilly for most, but perfect for riding – plus I got tons of compliments on its floral pattern. 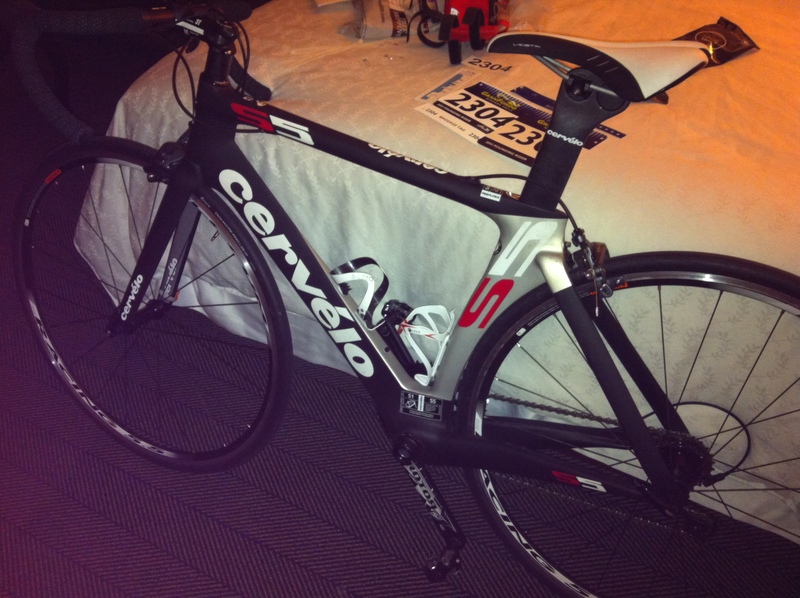 -The amounts of on route support were beyond anything I had seen at any previous race. Multiple police officers and volunteers at every major intersection, and multiple volunteers every where else. The teams of volunteers and Niagara Region staff support was mind blowing – I tried my best to thank everyone on route. -Making a weekend out of it. 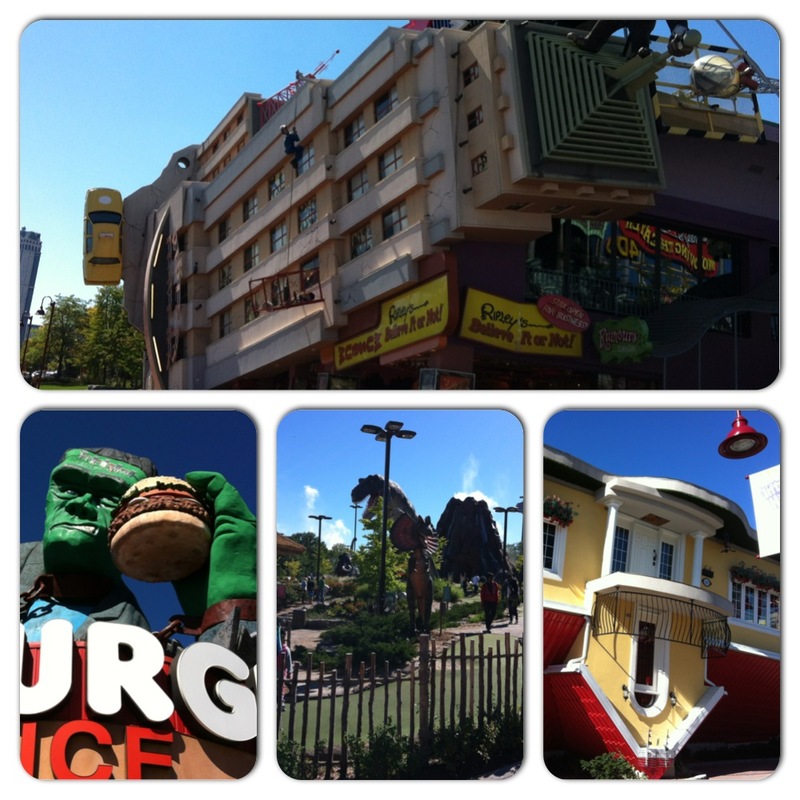 The husband came down and we had a great time taking in every kitchy moment Niagara Falls has to offer! 1. I was disappointed with how small the expo was (although it did contain a Jackson-Triggs wine garden). I would’ve loved to see more opportunities to shop from a variety of vendors. 2. I wanted more on route entertainment! I would’ve loved to hear bands, dj’s, local musicians from the Niagara area etc. 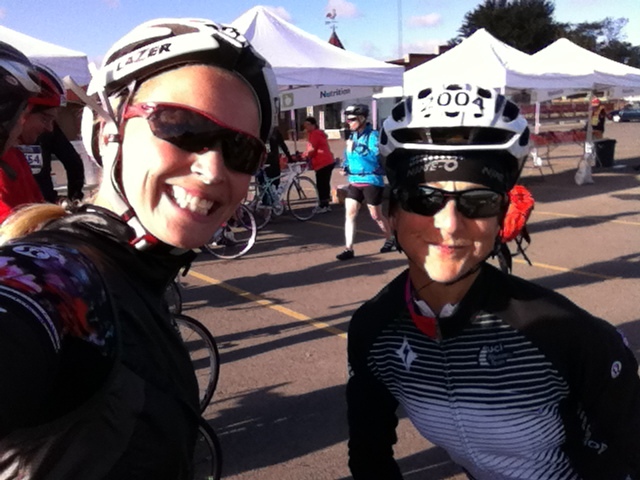 while at the different rest stops and on route – definitely an easy place for the race to grow next year. So in case you haven’t figured it out yet, I absolutely loved this ride! It was very well organized, had more than enough on route support, and the scenic views were breathtaking for the entire 125km. 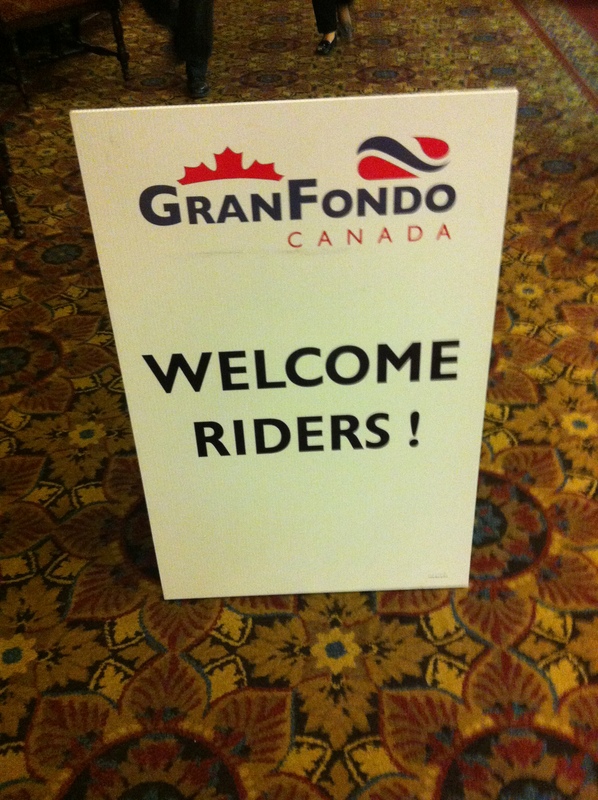 I can not wait to join the GranFondo team next year, for the 2nd annual ride! Big thanks again to the volunteers, organizers, and residents of the Niagara Region for putting on such an outstanding cycling event!